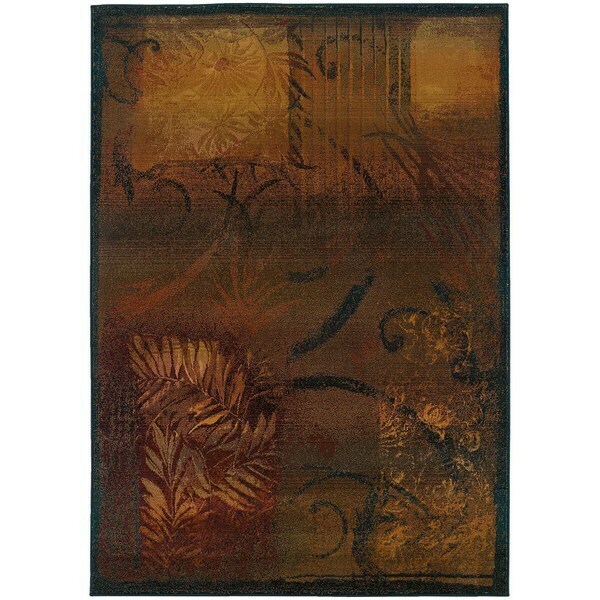 Kharma II Brown/ Gold Rug (4' X 5'9) - 4' x 5'9"
Kharma II Brown/ Gold Rug (2'3 X 4'5) - 2'3" x 4'5"
A transitional style area rug with a floral motif in shades of brown, gold, orange and red. Featuring a durable yet soft polypropylene construction this beautiful rug will make a wonderful addition to any room. Dimensions 133.86 In. X 94.49 In. X 0.39 In. Kharma II Brown/ Gold Rug (6'7 X 9'1) - 6'7" x 9'1"